I ran into an issue on my previous Antergos install where my text input would just randomly freeze. It seemed to unfreeze when I would move my cursor outside of the program I was typing in, but to make a long story short I pulled a newbie move and just went for a reinstall. I had some issues during reinstallation that I can’t recall, but a new problem arose in my current install. In my current install I can hardly play any games. I know games in general are not a big thing in the Linux platform, but they ran perfectly fine on my last install. I play mostly Terraria and it ran buttery smooth with no chugging whatsoever, but now I have awful chugging. It is especially bad when moving through different biomes. I can’t even start up any games through PlayOnLinux or even WINE alone. I was previously able to play games like Tabletop Simulator and even Civilization V. TTS bugs the hell out and is laggy and Civ V refuses to even open before crashing. I am quite the newbie still, so this could be attributed to a multitude of simple issues that I am just oblivious to. I looked into drivers and didn’t get much from that. 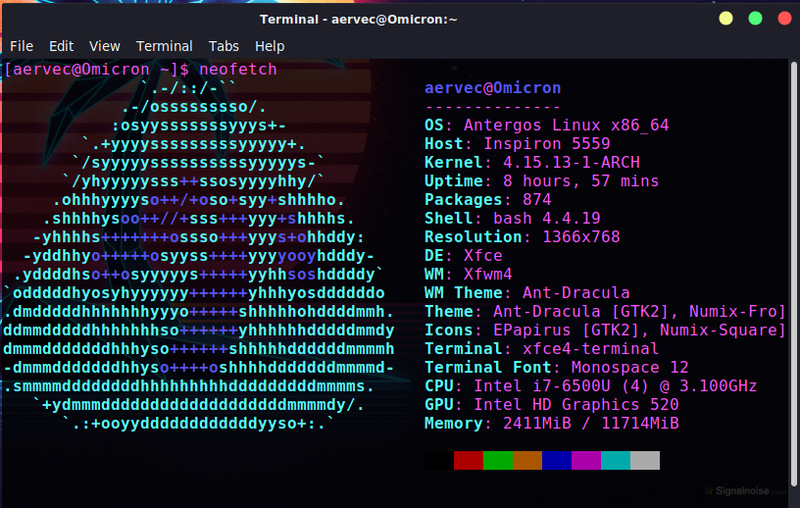 Here is my neofetch for my specifications, by the way: stolen themes. Another important detail is that I use Compton to fix screen tearing. Without Compton on, Terraria (the example I used for this testing) would of course have screen tearing, but it would have no chugging. It would instead have a persistent fps lag. Okay, so I was just searching some stuff up via DuckDuckGo (I used the top search/address bar in Firefox Quantum). Suddenly this browser.loyalty-awards site pops up saying that I’ve won an iPhone X or whatever. Obviously this has to be a scam, right? But the question I really want answered is how just a little search ended up being re-routed to this page. Is it possible I have a virus somehow, and if so how do I remove it? I have only installed items from the AUR: mugshot, minecraft, and breeze-default-cursor-theme. I can only remember downloading a few installable (jar) files from online once; the java files were various Minecraft forge versions from the original site. Is it possible that this page wasn’t a “scam” per se, but rather Mozilla has fallen further off its rocker? Thank you in advance for any answers!